Mind the top Terran, and hero the undefeatable Zerg all collide with each other in the semifinals. These players are at the top and no one dares question their ranks. This is the perfect final four. Currently each player sits at #1. Each loss pushes that player further back in the queue. Lose now and you are stuck with a ceiling of third best in a consolation match. Advance now and the floor is second. All of these players know the stakes. 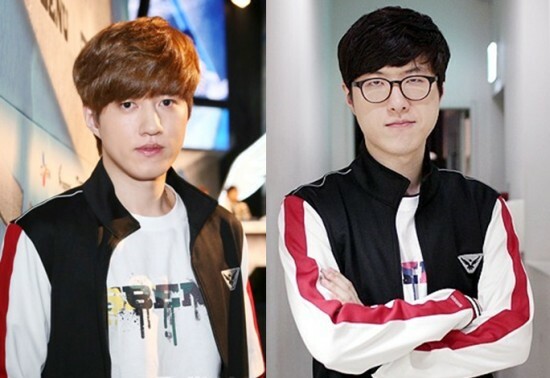 This is the most talented round of four in post-KeSPA history. The winner here will wear a crown above all other crowns. For the first time in five years, we will have a clear best player in the world once that final 'G' has been pressed. Read on as BigFan recaps the first two QF matches, while amazingxkcd compiles the top five games from the quarters. BLinD-RawR then provides some context on the budding rivalry between Mind and Bisu, before he and LaStScan preview this first SF match. Finally, FlashFTW & amazingxkcd team up to preview the second SF between hero and free. Get ready, play starts on Wednesday, Aug 12 4:00am GMT (GMT+00:00) and Wednesday, Aug 19 4:00am GMT (GMT+00:00)! The third series of the Ro8 saw our only remaining Zerg, hero, face off against Mong. 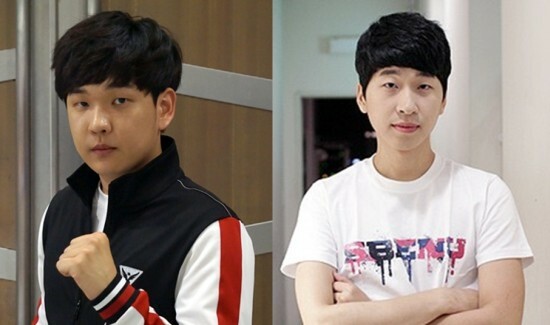 Will hero have what it takes to take down Pig Terran or will Zerg become extinct from SSL11 altogether? Mong opened up with a CC first to the double hatchery pool from hero. After Mong moved out with a small army, hero went for several great zergling runbys which caused damage in Mong's base while hero defended his expansion with two sunkens which finished morphing in the nick of time. With mutalisks out on the field, he took map control and pinned Mong down using solid mutalisk micro. Eventually, Mong managed to fend off the mutalisks and moved out, however, hero's mutalisk cloud with zergling support easily overwhelmed his forces causing him to concede defeat. Both players opened standard with Mong going for a rax FE build while hero opted for an expansion pool build. Mong tried to be aggressive with drops and frontal attacks, but, was shut down by hero's stellar defenses at his third and fourth. Thus, he transitioned to mech and expanded to grab the economic advantage. He soon found himself on the defensive against constant frontal attacks at his fourth base from hero. Despite stabilizing, he was unable to break through to hero's fourth base and started to lose his supply advantage. hero eventually ended up breaking Mong's fourth base with more attacks then took control of the game. After denying several of Mong's base, using queens to broodling tanks and trading armies several times, he took down Mong's remaining mining bases to win the game. After a similar opening to game 2, Mong went up to 5 rax and researched +1 attack while hero grabbed a third and held back the first attacking force with zerglings and mutalisks. Mong ended up macroing a massive army for a second attack and emerged victorious after he rammed it into hero's heavy lurker army (gif). He ended up losing the remainder of that army afterwards allowing hero to get a fourth base and map control. Mong switched again to mech, had good map positioning and tried double expanding, but, with hero being very aggressive, he had a hard time holding both bases. He managed to make it work and tried to deny hero's bases. hero was steadfast in his defense and with his strong macro, fought back against Mong's mech to take the game and series 3-0. The last series of the quarterfinals was a PvP between free and Movie. Movie, who has shown some shoddy gameplay in his previous games, had quite the wall to climb if he wished to best free and advance to the semifinals. free decided to go for dark templars after opening with 1 gate while Movie decided to go for 2 gate robo. The first small engagement took place on Movie's ramp and went in free's favour allowing him to get some probe kills. free also took the second engagement using 2 dark templars and some goons to get more worker kills and expanded behind it. Movie ended up surviving when his reaver finished building, but, was greatly behind. In the third engagement, free used his superior army to crush Movie's army at his expansion to win the game. free changed things up as he went for pylon shenanigans and 3 gate robo while Movie went for dark templars. Both players ended up expanding with Movie grabbing a small economical advantage with a storm drop that killed some probes and the faster expansion. Eventually, they both grabbed a third base and Movie took some good engagements early on while also establishing a fourth to go up in the base count. Not to be outdone, free took his own fourth and killed all the probes at Movie's fourth with a small zealot force. Movie recovered and both players kept on having several engagements with neither one gaining a massive advantage until Movie finally managed to break this and attacked free's fifth base to take the game. free went for more pylon shenanigans and decided to go for dark templars while Movie went for robo for obs. Movie eventually went up to 3 gates and counter-attacked after deflecting free's first attack near his expansion. With an obs in his army, he took care of two dark templars then waltzed into free's main to take a quick game and go up 2-1 in the series. Game 4 saw the players switch their builds from game 3 with Movie denying a scout and opting for dark templars. free managed to get his obs out just in time to defend and push Movie back. Both players expanded with free going on the offensive due to his faster reaver tech. After he took a good engagement, he retreated which allowed Movie to counter-attack with his larger army due to a higher gateway count. free managed to defend the attack due to his own great control and Movie's mis-control. Seeing an opening, he dropped a dark templar into Movie's main to draw his army away then attacked his expansion to tie the series. Both players opened with 1 gate robo, though they diverged early on as Movie opted for 3 gates and obs while free went for reavers. While both players expanded, Movie with his superior army, attacked into free's entrenched position at his expansion but was repelled. After macroing up his own army which included reavers and storms, free attacked Movie but he was also driven back. To tip things into his favour, free went for a storm drop at both of Movie's main and natural significantly destroying his economy and forcing him to attack. Though free was not able to hold at his third, he survived the attack at his expansion to win a close series, 3-2. The quarterfinals saw a glorious resurgence of Zerg players performing well, here's a selection of five games worth watching, or re-watching! What do you do when you are on HBR and are playing offline? Muta micro your opponent to death of course! A crazy TvZ that goes back and forth until hero is able to starve Mong out with some beautiful dark swarms. Killer manages to take a substantial lead, but slowly and steadily throws it away as forgetting crack and Mind's fantastic turtle Terran play fends off Killer's aggressive attacks for a very very long time. This game is simply a wacky and fun game to watch as both Bisu and ZerO try creative things against each other. A DT opening from Movie that somehow masquerades a forge FE against a Protoss turns into one of the best macro-oriented PvP games ever played in the post-KeSPA era. Mind is not a rivalry in the traditional sense, in fact one could easily argue that its not a rivalry at all -- if one takes a glance at their head-to-head records in both tjhe KeSPA and post-KeSPA eras, one would see Bisu coming out ahead, but there's a lot more to the story, especially the games that Mind has won. iloveoov in the Ro16 and denying a sAviOr vs Bisu rematch by beating sAviOr in the semifinals taking one of the hardest routes to a finals at the time. Much to the shock of everyone, as a series that was widely expected to be a cakewalk for Bisu with favorable maps and his superior experience, it emerged as a 3-1 victory for Mind. And so what was projected as a walkover and a letdown became a monumental upset. sSak. This would be their first series since 2010( KA OSL S2), resulting in Bisu taking the series 2-1 over Mind. Bisu would then advance from the group 2-0 and eventually win the tournament. The next time Mind and Bisu met in a “Best-of" series was the Ro8 of the inaugural season of the KSL, which Mind won 2-0 in one of the most dominating matches that anyone had seen in the post-KeSPA era, although one could argue that had a lot to do with the lack of familiarity that Bisu had towards the new maps (Demian and Avalon). And now, here they stand, Bisu and Mind once again facing off, this time in the semifinals of the SSL11. This would be their first Bo5 since the 2007 GomTV MSL, with both players undoubtedly the best at their respective races. Bisu has the map pool advantage with New Heartbreak Ridge being the opener and closer in a tournament where Terran is yet to win on the map. The stage is set, will we see a repeat of the 2007 GOMTV MSL S3 or will Bisu pull through to the finals? Many thanks to LaStScan for the analysis of the high level of play expected from this series! Mind against Movie in the Ro16, as Mind aggressively opted for a bunker timing tactic and lost all his marines, vultures and a handful of SCVs to preserve the bunker. This time, however, Mind may play more conservatively on the map aiming for a 4-6 fact timings or dropship play (Terrorist style!). Bisu has several options available to him for the early game and its likely that he’d elect for an aggressive opening, as he has previously shown that he's very confident playing the mixup game transitioning from early cheese to standard play. As a Protoss, Bisu would likely prefer to end the game before it reaches a split map situation. DTs or shuttle/reaver play are the most likely options with a mix of harassment and forward army control, such that Bisu might choose to engage Mind in a multitasking war. Maps with mains on low ground are notoriously disadvantageous for Terran in the TvP matchup, as any kind of success during early aggression on the higher ground natural could lead to a contain. As such, the aggressor is favored and the game would, under most circumstances, end shortly thereafter. Mind is likely to open more safely with a factory expand in his main, unless he won the first set, in which case he might opt for a rax on the higher ground natural for a faster expansion. On the other hand, Bisu has a similar set of options in going for a two-gate goon-heavy strategy or play a more greedy and aggressive style depending on how the first set goes for him. It's very important to note that the gas geysers at the thirds only have 1500 vespene gas instead of the standard 5000, meaning that it is imperative that Bisu takes his forth expansion as fast as he can. Jade also features the wide ramp between the natural and third, which either player can exploit to apply pressure on the main, natural and the third from roughly the same spot, whether it be a Terran tank push or Protoss land force. La Mancha is a challenge for Terran players because of how difficult it is to take a third. Unlike Jade, or a map like Fighting Spirit, the path leading to the third is much more open and wider, making it more difficult to defend against a Protoss land force than a traditional narrower tank-defended choke point. Mind will likely look to keep Bisu as far away from it as possible. As such, Bisu will likely try to capitalize by going for a lot of early gateway pressure to contain Mind, while Bisu tries to expand to his own third. Mind might opt for riskier plays such as a bunker contain if scouted early enough, or getting a starport for vulture drops as soon as the natural is secure, all to enable Mind to continue harassing for as long as possible while trying to expand at the same time. Expect a lot of action right from the early game on this map. Circuit Breaker is the home of many great mech pushes due to the structure and layout of the map. A Terran mech army can go through bases in one push, provided the Terran is given such an opportunity. Circuit Breaker is the macro map of the tournament, but Bisu has a few advantages in his favor. Mind will likely have a hard time trying to deny a third expansion unless he makes a big commitment towards it by sacrificing SCVs for early armories. As such, Mind is likely going to play a bit more standard and try to get his upgrades as fast as he can, enabling him to push out while maxing his supply with 2/1 upgrades. For better or worse, Bisu may elect to go carriers on the map. sSak thrice during group play). The two are truly the best at their respective races. Mind or Bisu to advance 3-2.
free’s PvZ has not been impressive at all. Yes, he’s 7-3 in his last 10 games against Zerg players, but that is inflated by his 3-0 victory over ZerO in the Draemong Starleague, where ZerO looked like he forgot how to play ZvP. Overall, free’s games have been rather lackluster as he commits to attacks that do not do much damage and relies on the Zerg to throw the lead by refusing to go aggressive or fail to defend. Against someone of hero’s caliber, however, free cannot rely on his opponent to make a mistake and throw the game. The biggest threat that free will have against hero will be his lack of multitasking ability, especially since hero and his 350-400 APM excels at being able to manage multi-prong attacks at the same time. For free to win this series, he will need to use effective sim cities and static defenses at his expansions (make reavers there!). At the same time, he needs to more decisive with his army movement around the map to keep hero from freely sending out constant streams of Zerg units. It should be noted that free was, however, able to overcome hero in their last BoX series 2-1 in the DSL. Perhaps free will play to his strengths from his previous victories and defend against the scary force that is hero. hero is still on a roll and he is a monster that cannot be stopped. He’s on a 11 game win streak and is undefeated in the SSL at present. And now hero is pitted against a mediocre PvZer in his best matchup in the semifinals. The aggressive play style that hero has shown in his ZvT is no different than his spectacular ZvP, boasting an incredible 72.5% win rate in the matchup. He is 6-4 lifetime against free, and 5-3 against him in the post-KeSPA era; however, I expect this matchup to slide further in hero’s favor. hero’s greatest strength in his ZvP matchup is his ability to take map control early on with early hydra builds and hold the Protoss opponent to his own bases. If the Protoss attempts to move out, then hero will be more than ready to intercept it. This is supported by hero’s choice to go for 3 or 4 hatch hydra to fake the hydra bust, forcing the Protoss to over commit to cannons. If he notices the Protoss is getting greedy, he can adapt his build to go for the bust and punish his opponents. From there, hero will be aggressively taking fights and map control. hero’s weakness, however, has been playing against late game Protoss play where the map is split and not being able to adequately defend against shuttle drops as hero tends to stick to his hydra/lurk composition much longer than other Zerg players would in ZvP. However, his insane army control and extremely strong multitasking ability will be more than enough to overcome free. As long as he can maintain his impeccable map control, and properly defend his bases when free moves out, he should have no trouble moving on to his second straight offline finals. The map pool consisting of La Mancha, Neo Jade, New Heartbreak Ridge, and Circuit Breaker also seems to favor hero’s aggressive play style. The wide open maps like Jade, La Mancha, and Circuit Breaker favor hero’s aggressive and map control oriented play. Circuit Breaker, especially, with many avenues to attack expansions, will definitely favor hero in the long term. We’ll see how free’s sim city and army control fares on the wide open maps. Thanks, all. Lots of collaborative team work for this article! "in a tournament where Terran is yet to win on the map (HBR). " if you mean v Protoss, terran is 1-7 against them this tourney, only win coming from Sharp v Lazy on Challenge Day. hero did 3 hatch before pool. not pool expand against mong in game 1. Thanks for the help xkcd. I really dropped the ball on this one guys, my apologies. I'll make sure to work even harder on the next one and my future articles. hero is my guy right now. I'm riding him into the finals vs Mind where the best TvZ player will face the current best ZvT. God that would make for an intense finals. Such a greatly written preview. Two mother f*in thumbs up! It's incredibly impressive how well these guys have prepared. Mong is at among the highest echelon of TvZers, right behind Mind and Sea, alongside PianO and HiyA, so to see hero not only anticipating, but executing so well, it's been a wonder to watch. Same with Mind, as a historically mediocre TvTer far behind the likes of sSak, Last and Sea to performing the way he did and defeating sSak 3-0. Very much a just reward for these final foursome to have advanced the way they did. Well deserved. July's only win vs the Afreeca pros is vs free. I'm not giving him much hope vs hero. So with hero advancing, doesn't really matter, I just want a good series between Bisu and Mind. That's because those three are playing on a Windows Version superior to EffOrt, right? No thread is safe. Savage. This is going to be a great semi finals. The map analysis made the series look really protoss favored. I really don't think it's the case, except for Jade. well I wouldn't say protoss favored but bisu favored. I'm extremely confident that Mind would take CB.